Learning how to drive is a serious business. And it is very important that your child will be a smart and safe driver. In Burke Mountain Driving School we emphasise on coaching our student (not just teaching) how to be a smart and safe driver on the road. Our lessons are made in a new Toyota Prius which is very easy car to drive with relaxed environment that making sure no extra pressure is made on the students other than the driving itself. Did you Know that in the span of 5 years from 2011 – 2015, there were on average 156 fatal victims per year in BC. In most cases the drivers were males and the correlation between the genders was as follows: For every five fatal accidents, on four of them the driver was a male. Also, age is a big factor with relation to road accidents. For most teenagers, getting a driver’s licence is an exciting milestone that represents freedom and independence. But getting behind the wheel can also be risky. Although youth injuries and deaths from vehicle crashes are declining, they’re still unacceptably high. Unsafe choices associated with driving and being a passenger in a vehicle remains the top risk to the lives and health of youth. On average, 32 youth ages 16 to 21 are killed in crashes each year in B.C. And during the pre-graduation months of April, May and June, on average six youth are killed. Factors such as driver inexperience, driving without due care, overestimation of ability, thrill-seeking and risk-taking play a role in the high rate of youth crashes. Young drivers also tend to be more easily distracted, especially with passengers and electronic gadgets in the car. They also often drive at night, when the risk of crashing is greater. When it comes to contributing factors in crashes resulting in injuries or fatalities, the data shows that 24 per cent of speeding drivers, 16 per cent of impaired drivers and 15 per cent of distracted drivers were between the ages of 16 and 21. As well, young male drivers ages 16 to 21 were involved in crashes more often than young female drivers, particularly when speed or impairment was involved. 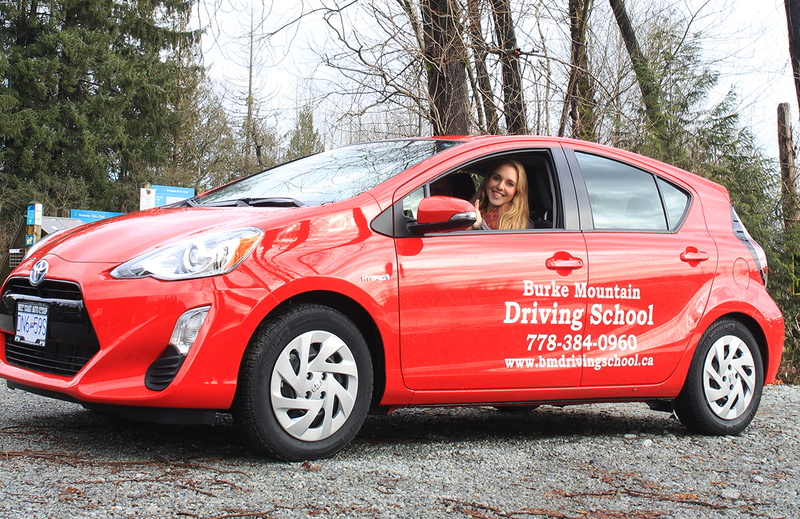 Burke Mountain Driving School is committed to the highest standards that are required by ICBC for new drivers, and for experienced drivers who need to renew their license. The school is licensed and bonded under the Motor Vehicle Act. I, Asa, am licensed as a driving instructor under the Motor Vehicle Act and I have around 40 years of driving experience. Before opening my own Driving School (Burke Mountain), I worked for Bestway Driver Training School and I had a very high rate of students who passed their road test on the first attempt. You are invited to check my website at www.bmdrivingschool.ca for more information.